Recently, I came across OneBar a company that makes all natural bars. Did you know you can get your fruit intake and satisfy your sweet tooth at the same time? These bars are made with very little ingredients which are vegan, gluten free, soy free and don't have any added sugar. 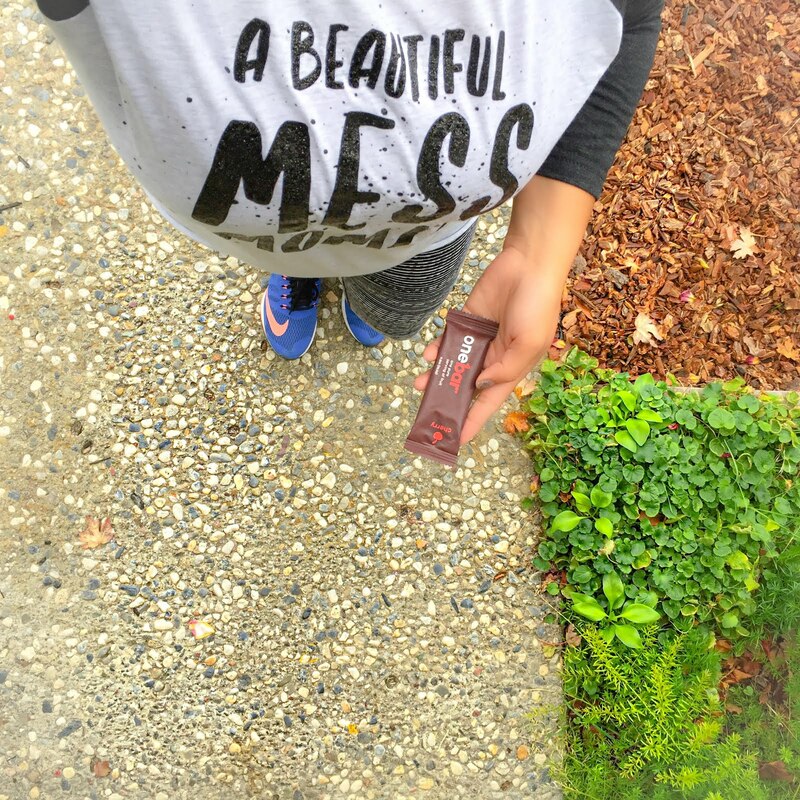 I've been trying to get back on track with eating healthy and not consuming empty calories and these bars work perfectly. As a mom it's difficult to remember to eat somedays. My energy is always running low and I'm reaching for another cup of coffee instead of eating. Being a busy momma I need something that I could fit in my pocket, leave in the car or simply slip into my purse whenever I need a snack or to satisfy my sweet tooth. My kids couldn't believe that this was simply a fruit bar. They loved the sweetness, chewy texture and the flavors of the bar. 3 flavors available: Cherry, Apple and Mango. To be honest, I haven't chosen a favorite yet they're all so tasty. Usually the first thing my kids do when they get home from school is raid the pantry for cookies, chips and anything unhealthy. Having these bars handy in my car snack box has been a life saver. I literally live in the car working on my phone running around doing school drops offs, pick ups, errands, driving the boy's to baseball practice and taking Valentina to gymnastics 3 days a week. I need to have a healthy alternative on hand at all times. What other tips do you have for satisfying your sweet tooth? 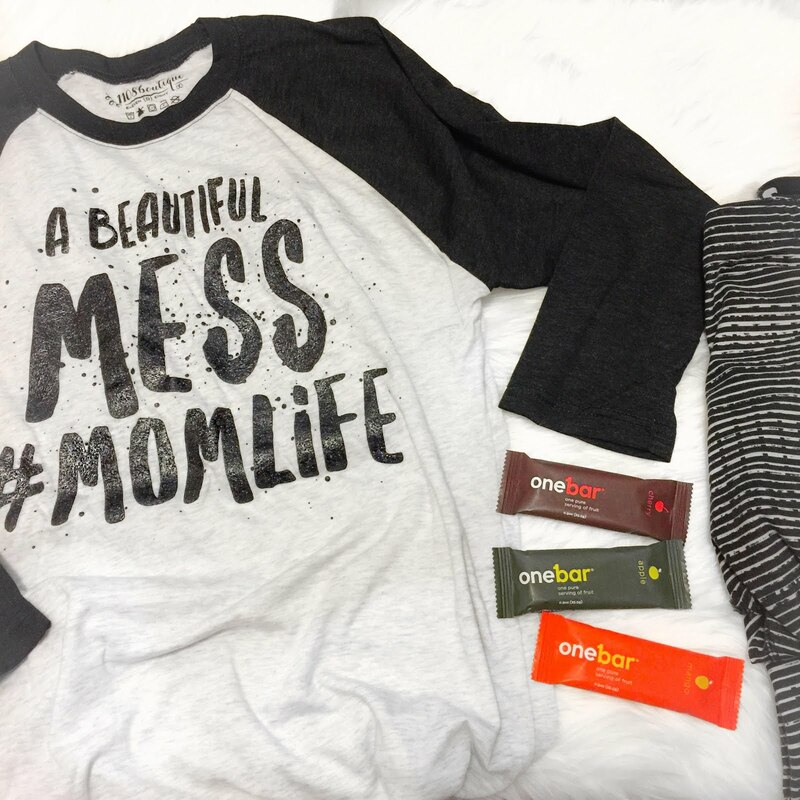 We've teamed up with OneBar to giveaway an apparel item from 1108 Boutique + OneBars to satisfy your sweet tooth! Stay Connected + Be Social. Get the Latest Post Sent Directly to Your Inbox! I discovered One Bars when they started carrying them at our local Peets Coffee shop. I have been hooked ever since!! I'm so hooked too! Love all the flavors! I've never heard of these bars before! Sounds so yummy! I want to try the mango flavor. Mango is so tasty. My kids love it too! Thanks for sharing this. I have a major sweet tooth to curb! I've had this problem forever. I have the worst sweet tooth ever. Awe, happy birthday !!! Hope you had a fabulous day! Love me some almond butter too! 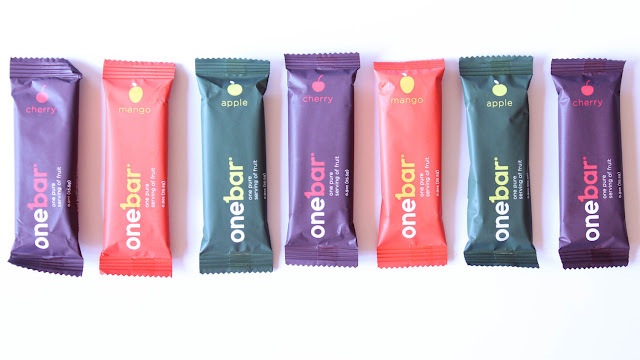 You can find them at their site www.theonebar.com they have a sample pack so you can try all 3 flavors ! My family would love to try the cherry, but I'm sure all are delicious, thanks! I still can't decide which is my favorite they're all so good! I would like to try the cherry flavor! Yum! Yass! It's so good !